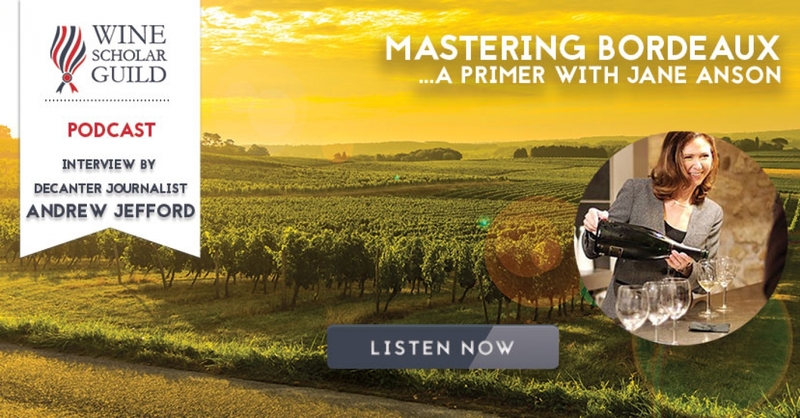 Master the wines of Bordeaux through a 9-week live online study program starting April 26th! Learn from a dream team of Bordeaux instructors including the program's new lead instructor: Jane Anson, Bordeaux correspondent and columnist for Decanter magazine and author of “Bordeaux Legends, The 1855 First Growth Wines”. Meet your instructors! Study manuals (fully updated in 2018) will start shipping on Monday. Register today to master the wines of Bordeaux! 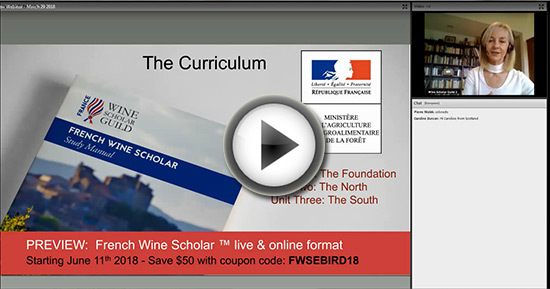 Want to learn about our French Wine Scholar program's 2018 instructor-led online session starting June 11th? Watch last week's live preview presented by FWS Instructor Sharon McLean. The best study formula to stay on track and get to the finish line in just over 3 months! Our Spanish Wine Scholar™ study & certification program will launch in the fall of 2018. We’ve had a few cancellations on the Burgundy trip running June 10-15 (the June 3-8 trip is full). We now have 3 spaces open on this trip! TUSCANY - 4 seats left! RHONE - 5 seats left! Languedoc-Roussillon and Rhône won't be repeated until at least 2020. Don't miss this unique opportunity to travel with like-minded, committed students of wine and share with us an unforgettable educational, epicurean and enlightening experience! Reserve your seat today! Wine education is an ongoing journey. Keep yours in motion. Become a member today! In this episode Jane, also a resident of Bordeaux, goes deep into the gravel and guides us through appellations, terroirs, and the En Primeur world. She also has some tips on discovering some gems beyond the Medoc. Finally, we're treated to a preview of the Bordeaux Master-Level program launching April 26th. All of this in about half an hour! Vin Jaune is Jura’s claim to fame! This stylized wine product is made from Savagnin [Blanc] and represents a wine that has undergone controlled oxidation in barrel through the action of a film of surface yeasts.